Garrymon Episode 1: Garrymon! I Choose You! Meet John Freeman, a young boy from the town of gm_pallet. Now that he is old enough to get a Garrymon lisence, he will get his first Garrymon as they will both have to journey on to a world full of adventure, mystery and secrets that they will have to unfold, In the world of Garrymon! 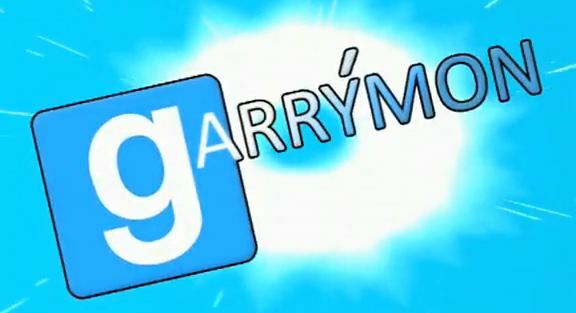 Garrymon is made using garry’s mod and it is rather impressive seeing how the whole episode being made using such tools. The content is hilarious as well and it is a bonus for those who love the source engine since garry’s mod is based off that as well. If you’re still wondering what exactly the video is about, it follows the concept of pokemon, just that now its a whole new world and the cute little creatures are called garrymons. So yeah, got ta catch them all!